What are your beliefs at work? The Law does not give special protection for one category of belief and less protection for another. All qualifying beliefs are equally protected. Philosophical beliefs may be just as fundamental or integral to a person’s individuality and daily life as are religious beliefs. As well as proving the discrimination took place and that it was because of the claimant’s religion or belief, there can be a dispute as to whether the religion or belief constitute something that affords the claimant the protection. Some are easy – Baha’i faith, Buddhism, Christianity, Hinduism, Islam, Jainism, Judaism, Rastafarianism, Sikhism and Zoroastrianism are religions for the purposes. Druidism and the Church of Scientology and the Divine Light Zentrum too. What about a Wiccan following witch? Yes, that too. Methodists within Christianity or Sunnis within Islam, may be considered a distinct religion under the Equality Act. How does a court decide what is a religion and what isn’t? The belief must be genuinely held. It must be a belief as to a weighty and substantial aspect of human life and behaviour. It must attain a certain level of cogency, seriousness, cohesion and importance. It must be worthy of respect in a democratic society, not be incompatible with human dignity and not conflict with the fundamental rights of others. So, something like Pastafarianism isn’t a religion is it? The Netherlands’ highest court said a law student from Nijmegen, could not be exempted on religious grounds from a ban on headwear (including colanders) in official identity photographs, because Pastfarianism was essentially a satire and not a serious faith. All clear so far? Yes? 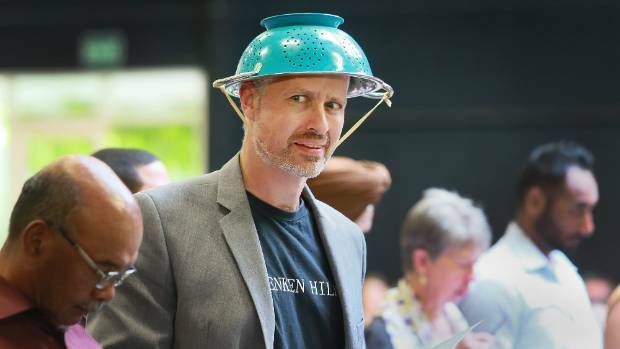 The New Zealand government has officially recognised Pastafarianism and approved it to conduct marriages. So no, not so clear after all. Be a belief, not an opinion or viewpoint based on the present state of information available. Be a belief as to a weighty and substantial aspect of human life and behaviour. Be worthy of respect in a democratic society, not be incompatible with human dignity and not conflict with the fundamental rights of others. Attain a certain level of cogency, seriousness, cohesion and importance. So, a belief in the sanctity of copyright law didn’t qualify but believing in Scottish independence was. Mr McEleny worked for the Ministry of Defence in Scotland and was suspended during his security vetting procedure when his political opinions were raised. Climate change? Yes, that too. Mr Nicholson won his right to claim discrimination against Grainger plc. In Hashman v Milton Park (Dorset) Ltd an employment tribunal held that a belief in the sanctity of life, extending to a fervent anti-fox hunting and anti-hare coursing belief, constituted a philosophical belief for the purposes of the Religion or Belief Regulations. In Maistry v BBC, an employment tribunal held that a belief in the “higher purpose” of public service broadcasting, to encourage debate and citizenship in a public space, was a philosophical belief that qualified for protection under the Religion or Belief Regulations.